Fiat India has launched what perhaps could really get its sales registers ringing, in the form of the Avventura crossover styled hatchback. The Avventura is based on the Punto EVO and is essentially a butch version of the latter, replete with roof rails, body cladding, bumper inserts, spare wheel on the tail gate, 16 inch alloy wheels and higher ground clearance. Though the Avventura is a crossover styled hatchback, it is intended to capture some part of the compact SUV market which plays host to vehicles such as the Ford EcoSport and the Mahindra Quanto. The Avventura’s prices start at 5.99 lakh rupees, Ex-Showroom Delhi. The Avventura is sold in five variants, with Active and Dynamic trims making for the petrol trims, and Active, Dynamic and Emotion making for the diesel trims. 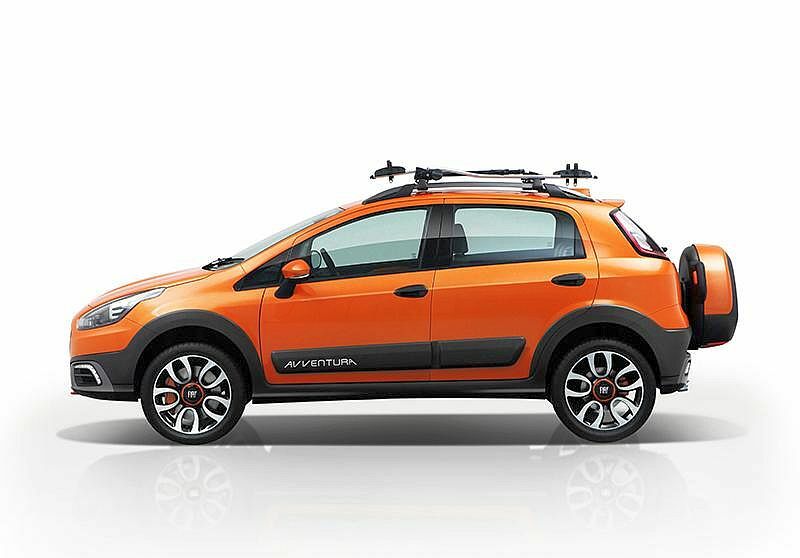 Since the Avventura is a Punto EVO with butch looks, the mechanicals of the former remain similar to those on the latter. A 1.4 liter-4 cylinder naturally aspirated petrol engine (89 Bhp-110 Nm) powers the petrol variants while a 1.3 liter turbocharged diesel engine (91 Bhp-209 Nm) powers the diesel variants of the Avventura. Both engines are mated to five speed manual gearboxes. Top-end Avventura variants get ABS+EBD and Twin Airbags. The Avventura’s insides continue with the crossover styling theme and the center console plays host to a compass and inclinometers. Supple ride quality, 16 inch alloy wheels and a 205 mm ground clearance come together on the Avventura to dispatch road irregularities with aplomb. 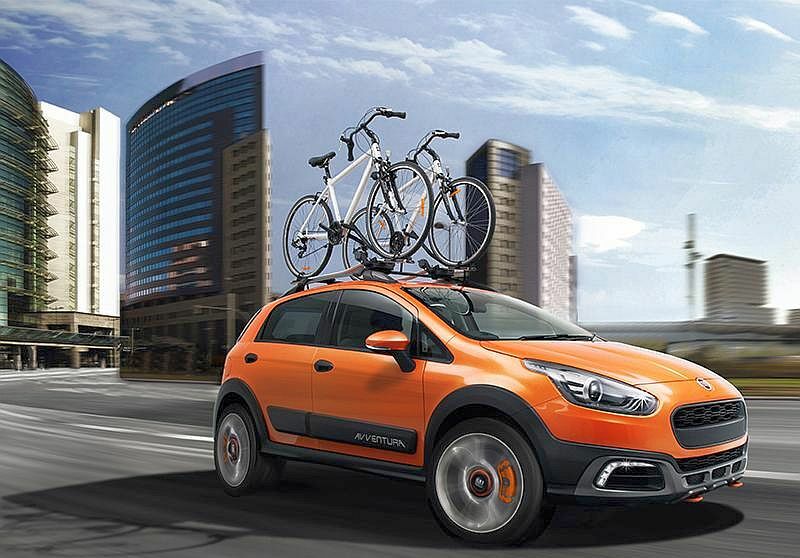 Sure-footed handling, a trademark trait of the Punto EVO, is carried over to the Avventura. Apart from selling the Avventura in India, which is incidentally the first market in the world for this Fiat vehicle, the Italian automaker is also firming up export plans for this crossover styled hatchback.